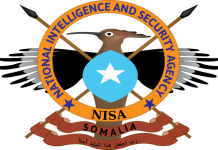 National Intelligence and Security Agency on Tuesday night captured an IS militant member after conducting operation in Mogadishu, SONNA reported. 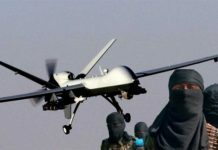 National Intelligence and Security Agency (NISA) said in its twitter that this militants who was assigned to transfer money to other extremists in the world, telling his captive would damage the economic route for the group. 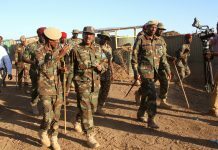 NISA continues operations against the militant group of Al-Shabaab and IS in the capital and in the rest of the country.